Hey, you’ve gotta break a few eggs to make that fabulous flan, right? Okay, I might be kidding myself, but that’s my theory on why my messy process actually produces books. In any case, welcome to the Writing Process Blog Hop! I was tagged by Lori Schafer last week (read her entry here) and I’ll tag another author at the end of this post. Want to know how and why I write? Put on your gaiters and let’s wade in! By the way, this puppy’s on sale for $1.99 right now. 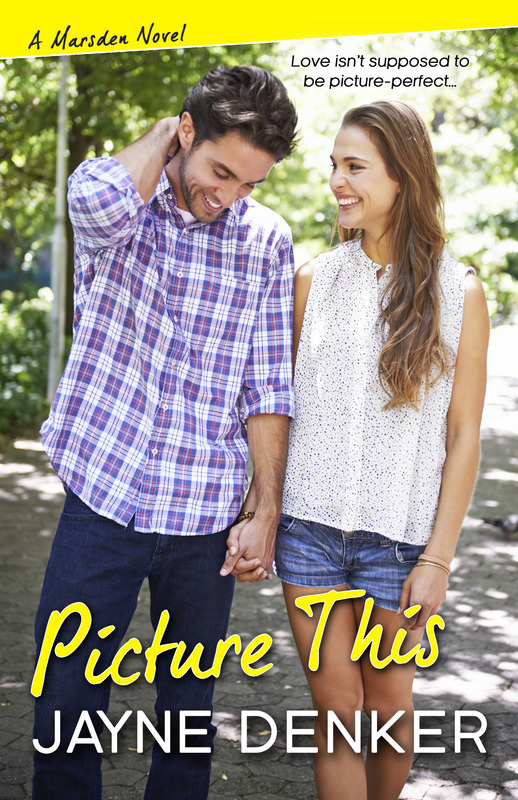 I’m busy doing advance PR for my fourth book and the second in my small-town rom com Marsden series, Picture This, which is publishing July 17. It’s the follow-up to the first novel in the series, Down on Love, but they can be read as standalones. Picture This is a rom com about a rather unusual celebrity who falls for a mild-mannered photographer’s assistant, then goes with her to her rather…eccentric? colorful? just plain weird?…hometown of Marsden, NY, where he finds himself in over his head dealing with the locals. 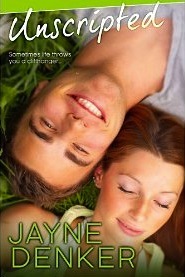 I had a blast writing it—I just love the hero, and the main character is really sweet. I’m also working on another rom com, Lucky for You, which I hope will be the third Marsden book. Fingers crossed! I like to make people laugh. I also love happily ever afters. I don’t like putting more negativity out into the world; that’s why I choose to write feel-good reads. It’s different every time. Sometimes I come up with a title and have to figure out what the book’s about; that happened with Down on Love—first came the title, then the realization that Down was the main character’s last name, then the discovery that Down on Love was also the name of her anti-relationship blog. The rest of the story developed from there. Sometimes the opening scene will pop into my head—or, rather, some scene in the book that’s important. Sometimes the main character’s voice will start rambling her narrative in my head; that happened with my second book, Unscripted; Faith was such a strong personality, when she started talking, it was all I could do just to keep up. I write an outline only because my editor asks for one. I actually work off a Word document that’s basically one giant blob of text. (Why yes, I’m a pantser instead of a plotter—does it show?) The blob has character details, specific scenes I want to be sure to include, and key snippets of dialogue. Sometimes I use colored text for the really important stuff. (Pretty high-tech, huh?) When I’m conscientious (or stalling), I go through the blob and put little checkmarks next to the bits I’ve fit into the manuscript up to that point. When it’s time to start writing everything down in earnest, I…procrastinate, if I don’t force myself to sit down and not run errands or do housework. I wave my darling son off to school, make coffee, plop myself on the sofa with my laptop, and start. After I check Facebook and Twitter and my e-mail, of course. Just as I start typing, my Writing Scarf (cat, Jasmine) appears out of nowhere and pins me down by lying on my throat. And yes, that is as awkward as it sounds. Sometimes, when it’s just not happening at home, I decamp to a local coffeehouse, get a disgustingly sweet pastry and (more) coffee, and stay there for hours. I can only work on one thing at a time. It’s even frustrating for me to have to read copyedits for my book that’s in production while I’m writing the next one. However, it’s a whole new world now that I’m writing a series. I just spent days physically drawing a map of the town (Marsden) so I didn’t end up contradicting myself about who lives where and what shops are across Main Street from others. I also started a Marsden “bible” with all the details about the town and its residents. It’s quite long already—very startling! And that brings me to writer’s block. I get it plenty. When it hits, I noodle around with things like my Marsden bible. Or I do some PR stuff. Or I write a blog entry or several. When I really need to focus on the story but it’s just not happening, I’ll read over what I’ve already written and edit it. A lot of writers never edit before they’re done with the first draft, but I find it helps me refocus. And when nothing works, I walk away. Sooner or later my characters reappear in my head, clearing their throats, waiting for me to get on with their story. I can only obey. So that’s my story! If you think my rom coms might be your cup of tea (well, I’d describe them more as gloppy full-fat-and-whipped-cream-too frappuccinos), please do check them out! And now (drumroll please): I officially tag author Seth Herman! 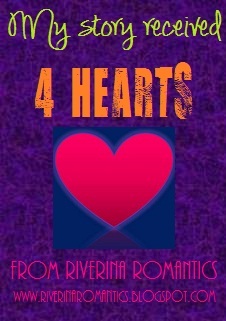 Head on over to his blog next Monday, June 30, for his entry in the blog hop. Seth’s bio: Growing up with a strange combination of Clancy, Crichton, Tolkien, and Rowling probably gave birth to Seth Z. Herman’s YA/fantasy/thriller style of writing. Seth hails from Queens, New York, where he grew up as an (admittedly sheltered) Orthodox Jew. A lifetime of experiences later, he now lives in Jerusalem with his wife and two children, where he poses as a rabbi teach-ing Judaic studies at an American post-high-school seminary. Sounds great, Jayne. I love your rejection of the alpha male trope – that’s one I’ve never really been able to understand myself. I mean, I don’t want to date those guys – why would I want to read about them? Thanks, Lori! Totally agree–I can’t buy into a story if I’m constantly muttering to myself, “What a jerk!” Being a beta fan a tough position to take sometimes, what with the vast number of alphahole tropes out there. I’m just glad other readers like betas as much as I do!